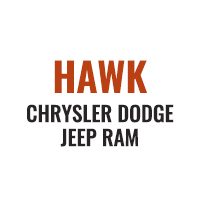 Hawk Chrysler Dodge Jeep Ram near Chicago, Illinois is proudly seasoned in all things Chrysler repair and service. When it comes to getting your vehicle back on the road, the team of certified technicians and their suite of genuine MOPAR parts and accessories will get the job done right. Our service department is as high-tech and innovative as the Chrysler lineup, and well-versed in all things Chrysler to make sure that whatever work is being done, it's being done the right way. Make your way to our automotive service center near Chicago, IL to learn more. Service your Chrysler vehicle at your trusted Chicago, IL Chrysler dealership. When it comes time for your next service appointment, look no further than Hawk Chrysler Dodge Jeep Ram. Chrysler customers can trust our team of certified car technicians to keep their vehicle running in peak condition for years to come. We'll take care of everything from collision repair, oil changes, transmission checks, and beyond. Come see us today at our Chicago, IL area service center! Here at Hawk Chrysler Dodge Jeep Ram we value your time as much as you do. That's why we've made scheduling appointments with us as easy as can be. Whether you want to schedule from home or would like to give us a call or stop by when you're off work, we're happy to accommodate you. Schedule a Chrysler service appointment today and see what we can do for you!